The Holy Father has published an Apostolic Exhortation on marriage and family life, in which he presents and develops the outcomes of the two Synods on this subject. 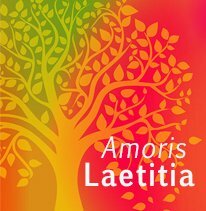 The title of the Apostolic Exhortation is Amoris Laetitia, ‘The Joy of Love: On Love in the Family’. The Post-Synodal Apostolic Exhortation was published during a press conference at the Vatican on Friday 8th April 2016 at 8pm AEST. You can download the text of the Exhortation or read the summary document and Q&A provided by the Vatican by visiting the ACBC website here.